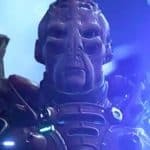 Mass Effect: Andromeda Multiplayer Adds New Race | Nerd Much? According to a tweet from the official Mass Effect Twitter account, a new difficulty mode will be added to the multiplayer. In the teaser video, the “Platinum Difficulty” is represented by a silver and red badge with a white skull on it. The video also reveals a new race that will be added to the roster, Batarians. Though Batarians themselves are not new to the series, the race was never seen as part of the Andromeda program. They are one of the few races, if not the only, that haven’t been counted among the returning aliens in the new game. That said, Batarians are also known for isolating themselves from the rest of galaxy and generally participating in the slave and drug markets. Their aim is mostly profit, without those sticky morals in the way. Not unlike Star Trek‘s Ferengi. Though Batarians are usually hostile towards humans. Adding the Batarians to the multiplayer mode is an unusual choice, as the have not appeared in previous versions of the series’ multiplayer. This certainly begs the question as to how exactly they fit into world of Mass Effect. Where have they been all this time? Are they trying to escape the Reaper wars back home? Did they hitch a ride on an Andromeda ship as a stowaway or did they come on their own ships? Will they arrive just in time to be a part of the upcoming single player DLC? 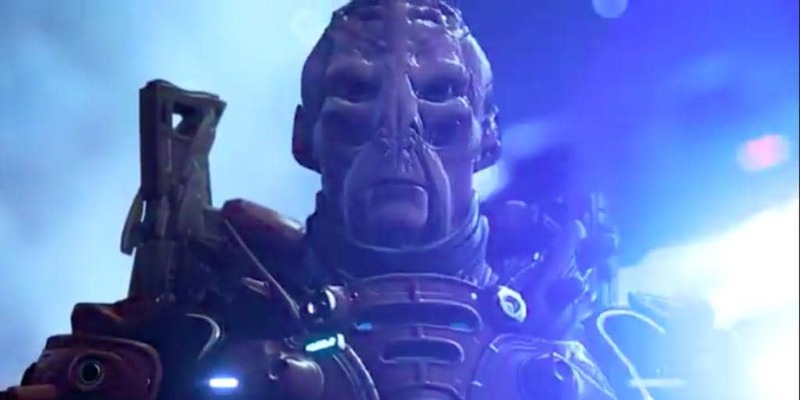 With Andromeda‘s rather severe lack in good storytelling and explaining the fiction of the new galaxy, my hopes are not high that the arrival of a Batarian in the multiplayer will ever be explained. Perhaps this is where BioWare got the idea that they won’t have to explain anything in Anthem either, just like Star Wars. It has yet to be seen how that kind of logic will be handled – as it can be done, but it is very easy to do it badly.